This was by far the nicest hotel/resort I have ever stayed at. Room was clean and very nice. All the staff was friendly and the pool was great. Cant wait to come back. Extremely thin walls made it hard to sleep. Neighbors made tons of noise at 2 am. One towel for a large king room. Kitchen next to shower. Smells from microwave permeated entire room all night. No elevator to 3rd floor. I love this place and have been here 3 different times. The walls are thin and can be loud especially when people are coming in late from parks. With the value we got from Orbitz it’s still worth it but it’s not always convenient. I would come back again and this will be at the top of my list when we visit Orlando in the future. It has a great location to the parks no matter which one you want to go to and I love the fact that you can use Turkey Lake Rd instead of having to jump on I-4 to go everywhere. The walls are terribly thin here. You could hear every conversation that the people in the halls were having as well as the people in the room next door. The carpet in the room smelled like it was sour, too. Other than that, the bed was comfortable, and the shower worked fine. The toilet space is insanely cramped, though. I have stayed at several diamond resorts in the past, and I will never stay at this one ever again. I had a great stay at cypress pointe resort. It was one of the best hotels I've stayed at so far. Very clean and staff was very friendly. Great for a family to stay and many fun activities on the property. Close Disney Springs. spacious 3 bedroom for a good price. attentive staff. definitely going back again. The resort is close to everything you need. The staff is amazing. My air conditioner wasn't working properly and they did what they could to resolve the problem. I will definitely be back. Nice hotel but needs some upgrades. Closet doors falling off, face basin drainage backed up, water settled in balcony floor, the parrot in the lobby area is awfully loud and scary for the younger kids, the pool slides needs to upgraded, the arcade area can be upgraded as well, need better monitoring of parking lots, try to invest in an elevator. We arrived after spending the afternoon at the Stalker walker event at the convention center. We were greeted and checked in the room was great. The place felt like home. Loved it I didn't want to leave. The apt actually was a 2bedroom suite Which I recommend to anyone even as a couple it was very spacious. Loved every part of it.. I would definitely stay again. every thing was very nice the room was very clean and walking dis, to the store . 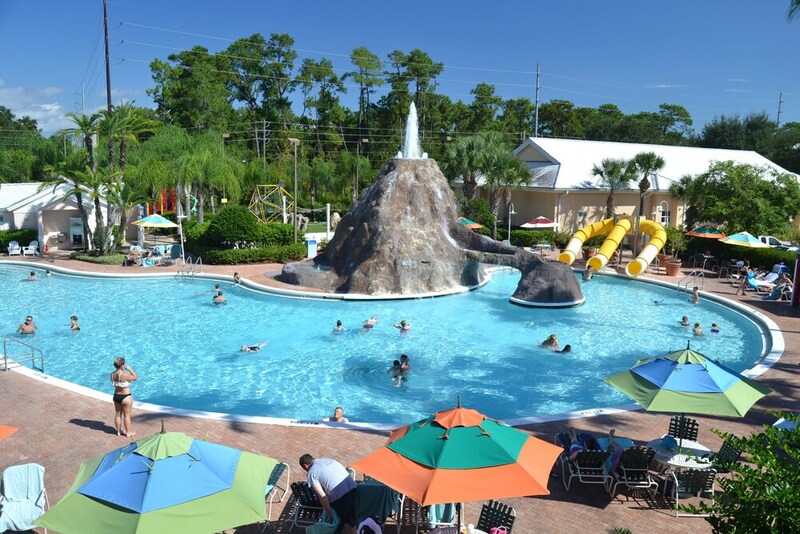 Cypress Pointe Resort by Diamond Resorts places you within 3 miles (5 km) of popular attractions like Disney Springs® and Orlando Vineland Premium Outlets. This 3-star hotel has 336 guestrooms and offers conveniences like a coffee shop/café, an outdoor pool, and free in-room WiFi. A TV comes with cable channels and a DVD player, and guests can stay connected with free WiFi. Beds are dressed in premium bedding and the bathroom offers a soaking tub, a hair dryer, and free toiletries. Other standard amenities include a microwave, a coffee maker, and free local calls. Cypress Pointe Resort by Diamond Resorts features an outdoor pool, a children's pool, and a fitness center. If you drive, put free parking to good use. The front desk has multilingual staff standing by 24 hours a day to assist with luggage storage and tours/tickets. Other amenities at this family-friendly hotel include a spa tub, an outdoor tennis court, and free WiFi in public areas. We appreciate your feedback. We will address this directly. Thank you. We will address this directly. The hotel has an outdoor pool, a children's pool, and a spa tub. An outdoor tennis court, a waterslide, and a fitness center are other recreation options.